Propagating succulents sounds complicated, but all it means is turning one cactus/succulent into two, so you can give all your friends baby plants and fill your flat with greenery for free! Scotland can get a bit grey in winter, so we love having lots of plants in the house to keep things green and oxygenated. We love succulents and cacti because they thrive on neglect and have a good chance of surviving without water when we go home on vacation. They’re also special because they reproduce asexually. This means that they make babies by growing mini versions of themselves out of their sides/stalks and it also means that you can cut off a leaf and it will grow into a whole new plant! How neat! This little baby was propagated by simply removing one of the tiny baby stalks and putting it in a fresh pot with some cactus soil, which drains better than normal soil. 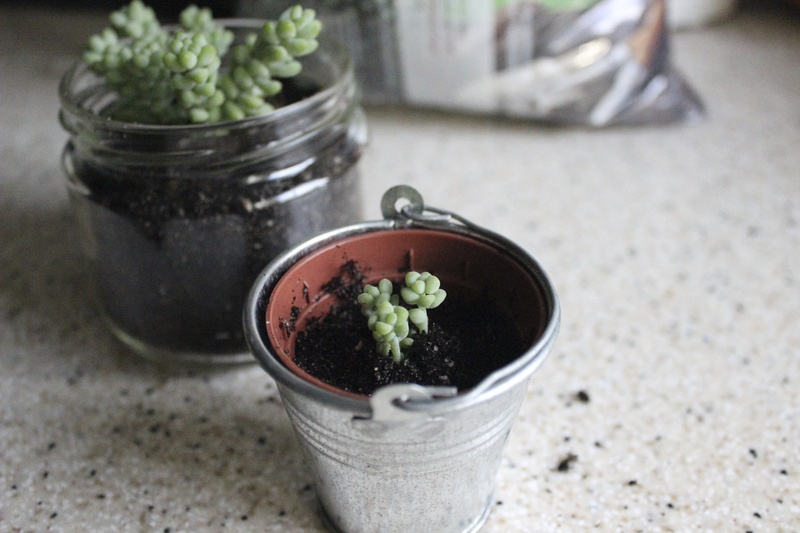 This is probably the simplest way to propagate a succulent, especially if it is the kind with lots of little stalks that can be pulled apart. Cactus soil can be made by adding some (clean) sand and pumice to normal soil, like this. 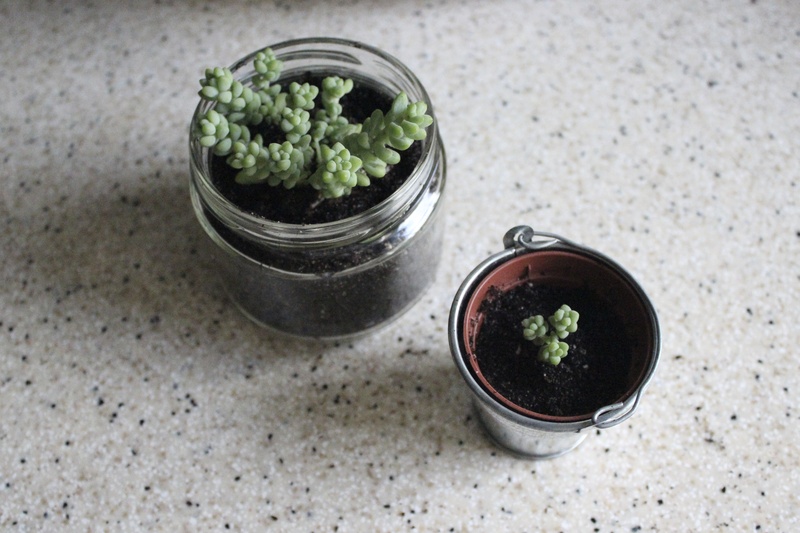 If you have a succulent with a single stalk and lots of leaves, you can propagate it by cutting off one of the leaves, letting it scab over, and replanting it. Since I’m no expert on this process, here is a great step-by-step guide. There you go, free plants for all! Christmas presents anyone?